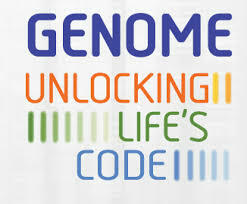 Knowing your genetic code, any of it, in an NSA infiltrated world is a little unsettling. Sure the NSA can read everyone’s email, but knowing that the government has your genetic code fits the premise of too many bad sci fi movies to name. 23AndMe offers a relatively inexpensive way to get a glimpse of your ancestry as well as over 240 bits of info on what your genes say about your health. I did it, like the results though probabilities against a variety of afflictions can be disturbing. The fact that the site has a standard user/pass without even 2-step verification, in my mind, means this info has been shared with the US Government. Even still, it’s worth a look — who knows, the Fed’s may already have it and we’re playing catch-up for all we know. This entry was posted by John Pasmore on Monday, August 19th, 2013 at 1:17 pm	and is filed under Tech. You can follow any responses to this entry through the RSS 2.0 feed.